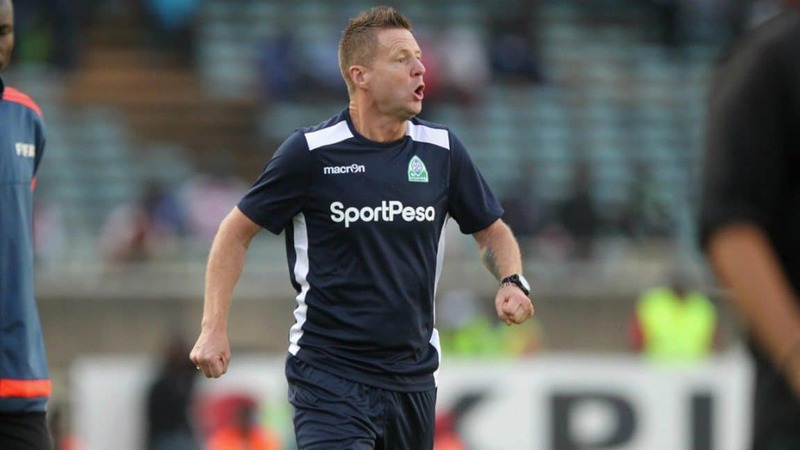 The future of Gor Mahia coach Dylan Kerr is uncertain ahead of a busy calendar season which starts this month, Kahawa Tungu understands. The Malta-born English manager is reportedly on his way out of the club with one year still left on his contract. “It won’t be surprising if he quits, the coach has resigned severally in the past,” a close source within the management revealed. Kerr oversaw the historic clash between Everton and Gor Mahia at Goodison Park in the UK Tuesday but has not accompanied the team back to Nairobi to continue with the preseason. Gor begin their season in three weeks’ time when they face Nyasa Bullets of Malawi in the preliminary round of the CAF Champions League. According to the source, Gor have been preparing for any situation and have already lined up Kerr’s replacement. “Kerr has already made his name here and it is just a matter of time he leaves for greener pastures, it will not be shocking at all and we have been getting ready for it,” an official, who did not want to be mentioned, told Kahawa Tungu. The former Simba SC coach joined the 17-time in 2017 winning the Kenyan Premier League on his debut season and retaining it the following year. He qualified the team to the group stage of the 2018 CAF Confederation Cup for the first time, missing the knockout stage by a whisker.